Savriël Dillingh is an intern for the Fair Limits project in 2019. He is currently completing his Master’s degree in Applied Ethics. He is interested in Business Ethics and political philosophy, particularly in cooperative markets, theories of justice, Anarchist economics, basic income, self-governance, urban sociology and philosophy, and the relationship between state and market. 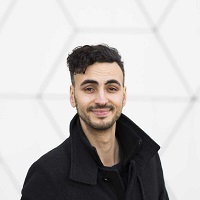 Savriël’s MA-thesis theorizes the status of participatory business models such as co-ops, collectives and ESOPs within the Market-Failures Approach to Business Ethics. He emphatically aims to pursue a PhD. As an intern of the Fair Limits project, Savriël explores the influence capital exercises on media, as well as historical precedents of limitarian policies and a Dutch taxonomy of taxation on labour and capital.